GALION — The Galion-Crestline Area Chamber of Commerce is gearing up for the return of Third Friday in Galion events this coming Friday evening in Historic Uptowen Galion. According the Chamber Member Engagement Director Miranda Jones, the events planned for this summer will continue much of the success of last summer, with additional opportunities for Galion residents and businesses. One of the new additions this year is the Covert Manufacturing Food Court which will include grilled goodies from Rus-Men Farms, pizza by the slice from East of Chicago, Bistro 217, along with popcorn by St. Paul United Methodist Church. A farmers market will also kick off at Third Friday each month this summer. Shoppers with qualifying purchases at participating uptown businesses will receive a free reusable canvas tote bag courtesy of Covert Manufacturing and select uptown businesses. Another new addition to Third Friday in Galion this summer will be a family friendly movie shown at Galion Community Theatre, beginning at 8 p.m. The selection this week is “Grease” with admission $5 for adults and $3 for kids. Live music will once again be a staple at every Third Friday in Galion, thanks to sponsorship by Donley Ford of Galion. The entertainment line up for this Friday kicks off at 5 p.m. with performances by students from Galion City Schools and members of Galion Community Theatre. At 7 p.m., a local favorite, The Crazy Gringos, will take the stage. Donley Ford of Galion also be set up at every Third Friday event and will have a drawing for a $50 Owner Advantage Card to be used for service or parts. Those who enter the drawing each month will be entered into a final drawing to win one of three grand prizes: four tickets to a Cleveland Indians game, four tickets to Cedar Point, or a $200 gift card to Crossroads Candles. Many uptown Galion businesses will open their doors for extra hours to kick off the first Third Friday in Galion of 2018 this Friday May 18 put together by the Galion-Crestline Chamber of Commerce. A food court, farmer’s market, and live music along with 20 vendors will be a part of this years events. Erin Miller | Galion Inquirer. 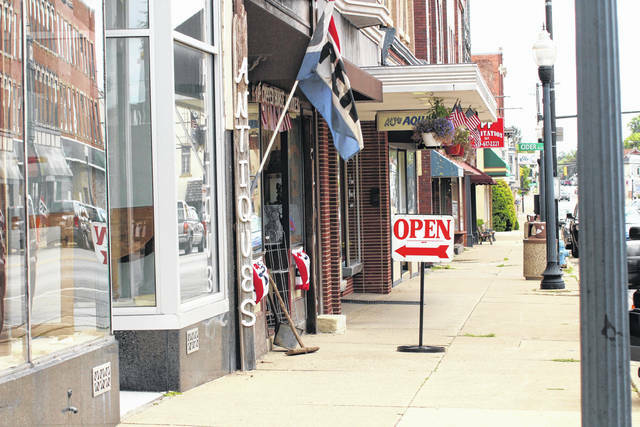 https://www.galioninquirer.com/wp-content/uploads/sites/38/2018/05/web1_IMG_7933.jpgMany uptown Galion businesses will open their doors for extra hours to kick off the first Third Friday in Galion of 2018 this Friday May 18 put together by the Galion-Crestline Chamber of Commerce. A food court, farmer’s market, and live music along with 20 vendors will be a part of this years events. Erin Miller | Galion Inquirer. 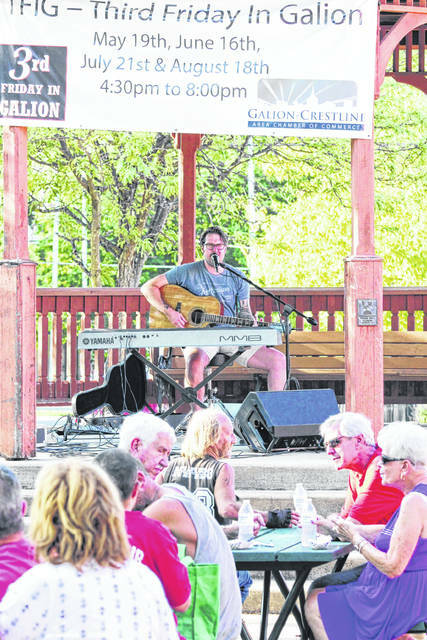 Galion native Matty Monk performs at the gazebo on the Public Square during one of last summer’s Third Friday in Galion events. Erin Miller | Galion Inquirer. https://www.galioninquirer.com/wp-content/uploads/sites/38/2018/05/web1_IMG_7953.jpgGalion native Matty Monk performs at the gazebo on the Public Square during one of last summer’s Third Friday in Galion events. Erin Miller | Galion Inquirer.